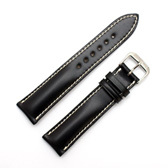 Finest Quality, hand made in Germany using a 172 step production process and with a keen attention to detail, this black watch strap had thick chrono padding and is made from Shell Cordovan leather with off white stitching. 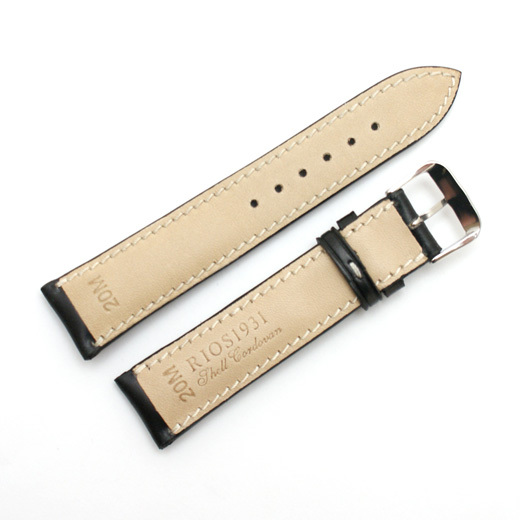 It is hand stitched, which can mean that the stitching is not parallel with the strap edge as shown in the pictures. 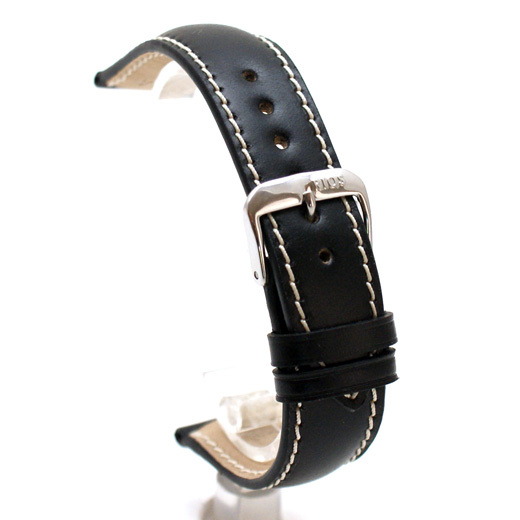 This is not a fault, it is a feature of this strap type.